Login to the Exchange Admin Center. Step 1 -> Click on Servers. 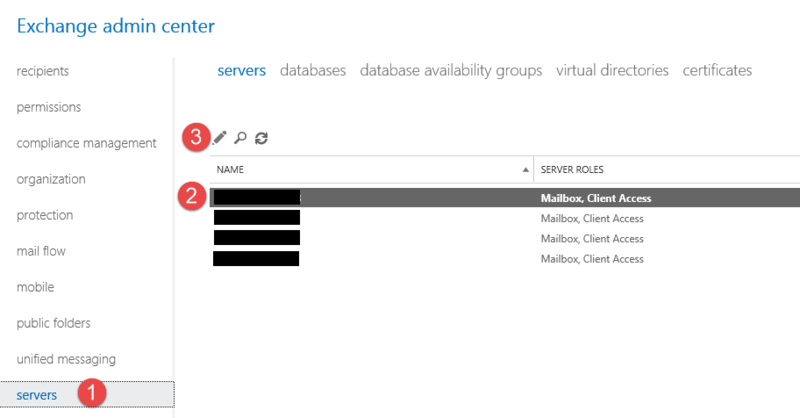 Step 2 -> Click on one of the servers. Step 3 -> Click on the Pencil. 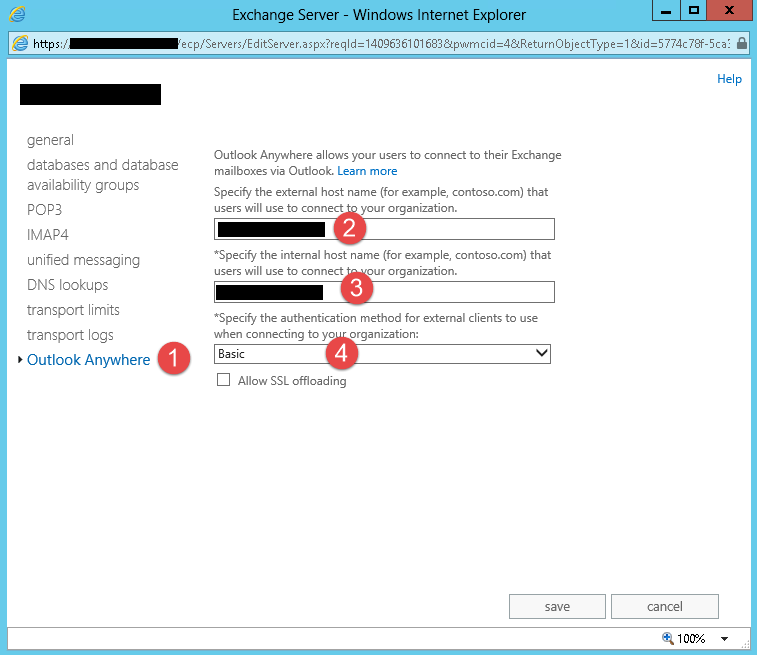 Step 1 -> Click on Outlook Anywhere. Step 3 -> Enter in the URL. Step 4 -> Select your authentication. Do the same for your other exchange servers.